There are 5 cat videos tagged with savannah. 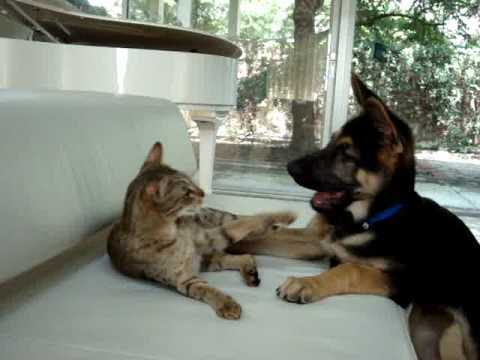 This German Shepherd dog and Savannah cat love to wrestle and play rough (or ruff haha). 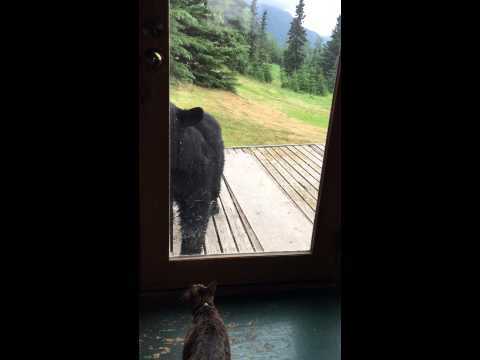 They don't hurt each other and communicate very well, the owner says. 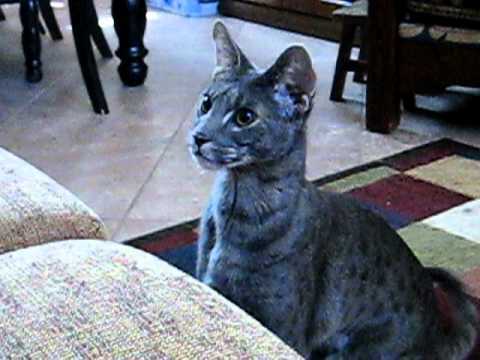 This beautiful F2 Blue Savannah cat knows how to respond to "come" and "sit" just like a dog! 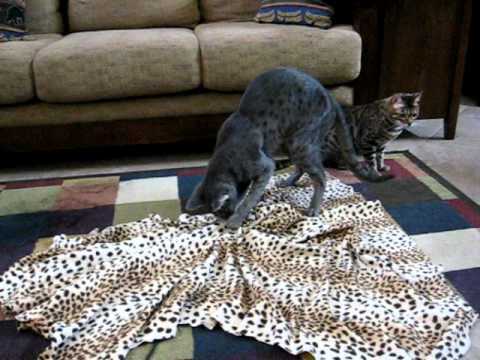 A blue F2 Savannah cat and a Bengal are on the hunt for the monster moving around under the blanket. 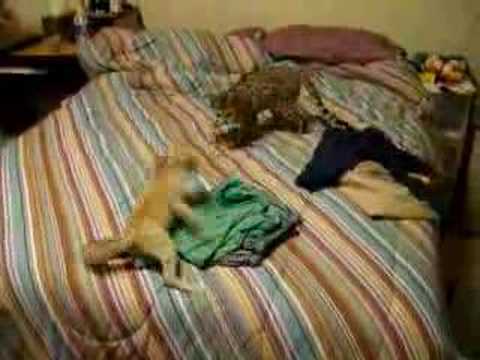 F2 Savannah kitten playing tag with a Fennec Fox pup.